The Liebe Group is an established not-for-profit business supporting WA’s mid ‘wheatbelt’ region. Established to address concerns of isolation from agricultural R&D, most of the group’s 100 members run broad-acre cropping and livestock businesses. Under the guidance of Executive Officer, Rebecca McGregor, Liebe supports members across more than 1 million hectares, to access new ideas and develop research and networks. Information sharing and upskilling through peer-to-peer learning helps members to grow their productivity and profitability. “After being in operation for 20 years, our systems and management processes needed a review. The number of We wanted an external perspective, to make sure we were providing the best platform and value to our members,” Rebecca McGregor. 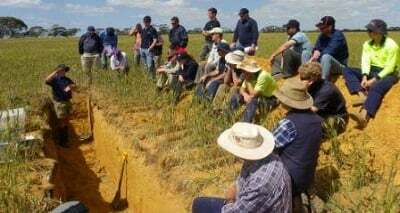 The 12-member management committee of growers and industry (finance, fertiliser, research and government agencies) had an ‘open’ meeting approach where any member or staff could attend. This structure assists the free flow of information but also creates governance conflict issues – for example when confidentiality is required on pricing. Rebecca approached Farming Together to review their structures and define best practice governance procedures for the future. They also needed help to present, implement and evaluate any agreed changes. The wheatbelt region of WA is vast. 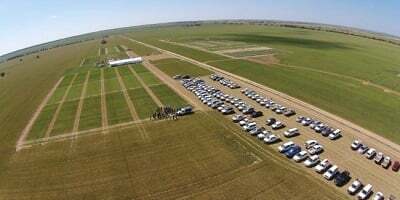 Field days supported by Liebe Group members. A Farming Together business analysts reviewed the group’s strategic plan and conducted interviews with 13 key staff. Their advice was to: reprioritise strategies; increase financial stewardship, add performance measures and collect member information. Another recommendation was to reduce the committee size and abolish some sub-committees - to reduce the member burden. Some roles shifted to employed staff and member access to committee meetings was scaled back. The member-information flow was redirected to specific engagement activities. Other recommendations included: more actionable and accountable meeting minutes, streamlined reports, changes to the committee nomination and staff recruitment (to identify and nurture future leaders), and the reduction of policy and protocol documents into relevant, useable tools. The external review highlighted several areas where the group could improve. Now they are progressively implementing changes to ensure their continued success. “Last year we celebrated our 20th anniversary. We are now looking forward to the future, with strong aspirations to expand on our value in the local area,” Rebecca McGregor.